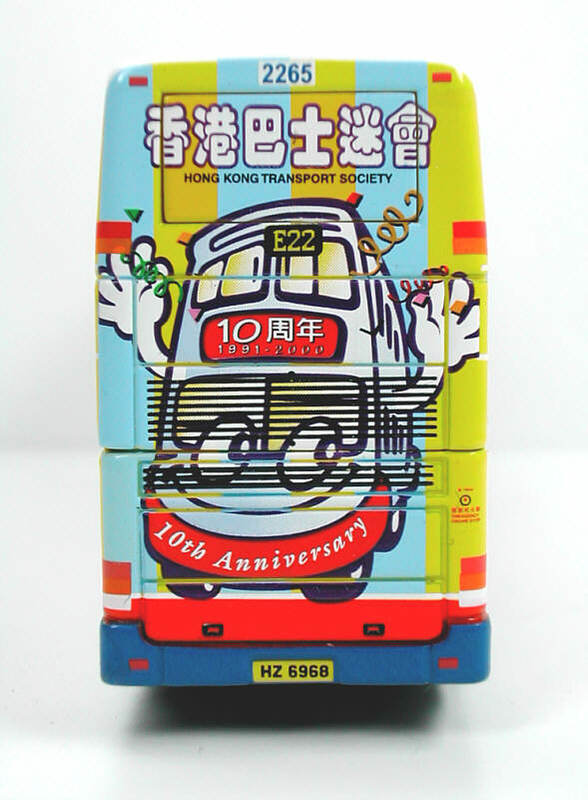 The model - released in Hong Kong in April 2000, this standard liveried Trident was commissioned by Hong Kong Transport Society to celebrate its 10th anniversary. 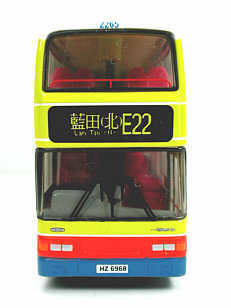 The bus - Fleet No 2265 is one of over 150 Duple Metsec bodied Tridents purchased to cater for the new airport routes following the opening of the new airport at Chek Lap Kok. 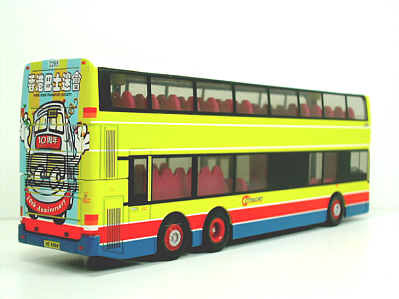 It entered service on 25 February 1999. With the kind of sponsorship of Citybus Ltd., and Buspak, a Mega-Rear poster was displayed on 2265 to celebrate the 10th Anniversary of the Society. 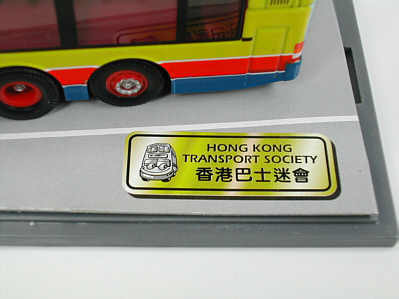 The Hong Kong Transport Society is the first bus society in Hong Kong. 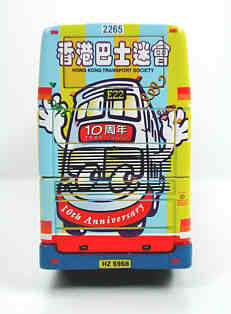 It was founded in late 1990 by several keen bus enthusiasts headed by Mr. Danny Chan, a motoring magazine publisher. He had the vision that a bus society similar to those in the UK should be set up in Hong Kong to promote the interest in buses, and public transport at large, especially for those who were not in the transport industry. 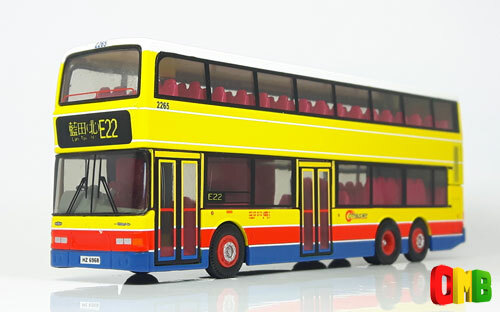 With excellent support and leadership from Mr. Lyndon Rees, who became the Chairman of the Society, the first executive committee was formed with representatives from all the franchised companies comprising Citybus, KMB, CMB, KCR, other bus operators and scratch built bus modelers, with Danny Chan becoming the Public Relations Executive of the Society. 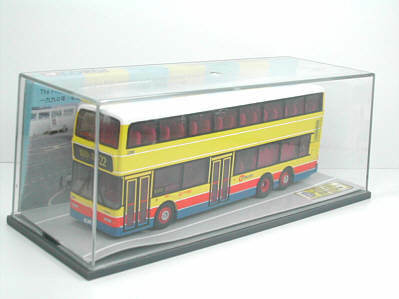 In addition to regular activities such as visits, bus tours, rallies and tours to other cities, the Society pioneered the production of scale diecast models of Hong Kong buses which has now become a very popular business for model manufacturers of Hong Kong. 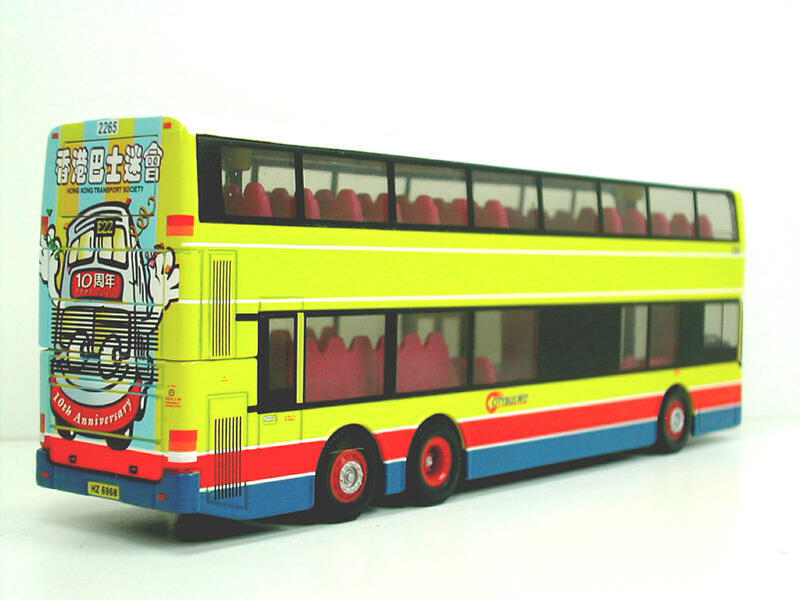 With very good support from all the local bus companies and other transport operations in Hong Kong and overseas, the Transport Society has grown from strength to strength in the past decade and has a membership of over 300. 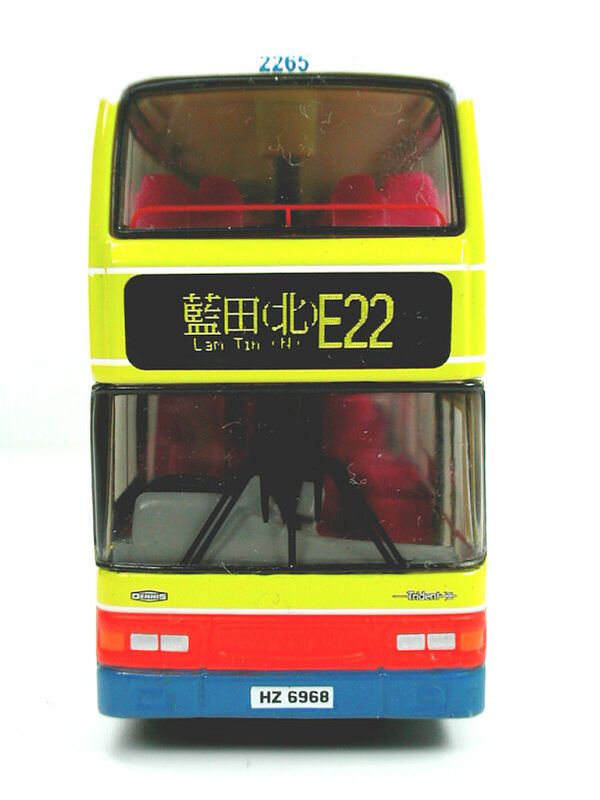 Bus spotting is now very popular in Hong Kong and many more bus societies have since been formed.